Sami Michael was born in Baghdad (1926). At age 15, he joined the leftist underground group acting against the oppressive regime in Iraq, fighting for human rights and democratic values. He began his engineering studies in 1947 at the American University in Baghdad. In 1948, due to his political activity, the Iraqi Court issued a warrant for Sami’s arrest, at which point his father had him smuggled to Iran. In 1949 Sami left Iran for Israel. For a period of four years Michael was employed as an editor for Al Itihad and Al Jadid, the Arabic language newspapers of the Communist Party and wrote a widely-read weekly column. In 1955 Sami left the Israeli Communist Party. While working as a Hydrologist for the Israel Hydrologic Authority, he completed his hydrology studies at the British Institute (1960) and later (1971) completed his studies in Psychology and Arabic Literature at Haifa University. By sheer persistence and strong will, lacking any formal training, he managed to gain a complete mastery of his new language, Hebrew. In 1974, at the age of 48, Sami’s first novel, “All Men are Equal, But Some are More,” was published. To date, Michael has published 11 novels (including: Pigeons at Trafalgar Square; Victoria; A Handful of Fog; Refuge; A Trumpet in the Wadi; Water kissing Water); 3 non-fiction books focusing on cultural, political and social affairs in Israel (These are the Tribes of Israel, Unbounded Ideas; The Israel Experience) and 3 plays (Demons in the Basement; Twins; He). His novels cover a wide range of interlocking relationships between Jews and Arabs, Moslems and Christians, nationalists and communists and Iraq and Israel. In his writing he explores “the other”, mainly focusing on Arabs, women, refugees and immigrants, always treating them with empathy and respect. Michael is known for his deep commitment to peace, justice and human rights. He is on the board of numerous councils. His writings have been widely published concerning literature, culture, socio-political aspects and also on the Israeli-Arab conflict. In appreciation of his rich contribution to the world of literature and his commitment to peace and justice, Sami Michael has won many literary awards both in Israel and abroad. Among these prizes and citations are the followings: The Prime Minister Prize; For his work for peace, he has been honored by the UN-supported Society for International Development, and the Association for the Promotion of Peace in the Middle East (Italy); International Rotary prize; Honorary Prize (Germany); The Israeli Literature Prize by The Ministry of Education, Science and Art Prize; WIZO Prize (Paris); The ACUM Award; Brenner Prize; The President Prize. Sami Michael has also been awarded Honorary Doctorates from three universities for his literary work and contribution to inter-communal reconciliation: The Hebrew University of Jerusalem(1995): “In the spirit of the best of the world's literature. In appreciation of his literary accomplishments and in recognition of his contribution to Israeli society in furthering mutual understanding between the communities and peoples of the region.” Ben Gurion University of the Negev (2000): In appreciation of a writer who has enriched Hebrew literature with his work… In honor of his strong spirit and his tireless efforts to reconcile different communities and peoples living in Israel, and further understanding and mutual respect. 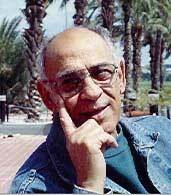 Tel Aviv University (2002):“his significant contribution to Israeli culture as a unique literary voice and sociopolitical commentator. His role in redefining the Israeli experience by broadening its scope and introducing previously unmentioned themes; his groundbreaking work as a protest writer who expressed the discrimination felt both by new immigrants and Israeli Arabs..." Other Works and Associations: * Since July 2001 Sami Michael has been the President of the Association for Civil Rights in Israel. * Michael translated, from Arabic into Hebrew, the trilogy, A House in Cairo, by the Egyptian writer Naguib Mahfouz, laureate of the Nobel Prize for literature. * Haifa, his home - a symbol of co-existence in the Middle East, where Jews and Arabs live side by side – is the setting of many of his books. In 2002 a special route in the Wadi Nisnas quarter was named after him ("Sami Michael's Way") and literary texts from his novels are written along the walls of the route both in Hebrew and in Arabic. * In March 1998, Sami Michael was elected as the President of The Society for Solidarity with the People of Iraq. * “Samir” a documentary about Sami’s life and works was awarded an honorable citation at the International Film Festival in Haifa. * Some of his books have been adapted for theatrical plays and films which received international acclaim. * Michael is a nominee for the Nobel Prize for Literature * An International Conference on the works of Sami Michael is being planned for the Autumn of 2007. It is due to take place at Stanford University and it is expected to last three days.